At AccuQuilt, we’re always focused on bringing you inspiration and helpful information. One of our favorite ways to do that is by offering beautiful patterns that reimagine the uses of our products. 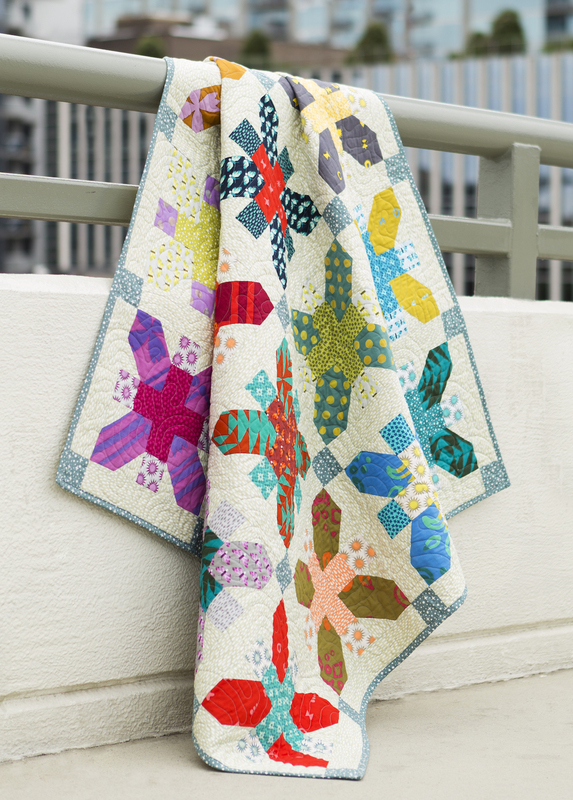 Because who doesn’t love to see gorgeous quilt patterns and projects? Recently, we released the GO! Qube 8" Over and Above Quilt Pattern (PQ11031) and isn’t it impressive! Adorned with X’s and plus signs, the GO! Qube 8” Over and Above Quilt Pattern is designed to scrap bust. Give it a really scrappy look by using all different fabrics in each block or bring in solids or color repetition for more uniformity. With this versatile quilt pattern, you really can’t go wrong! This pattern is built for a finished quilt size of 50” x 50”, but because it’s created with the GO! 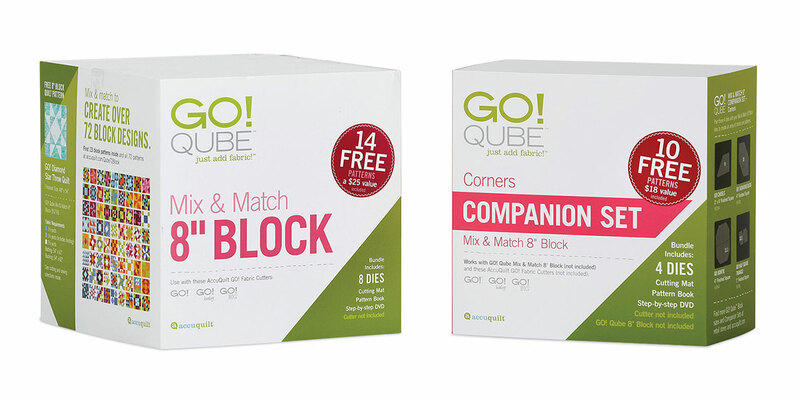 Qube Mix & Match 8” Block and GO! Qube 8” Companion Set-Corners the versatility is endless! Our GO! Qube Mix & Match Blocks come in 5 convenient finished block sizes, including 6”, 8”, 9”, 10” and 12”. Any GO! Qube pattern can easily be adapted to all five GO! Qube Mix & Match Blocks. Even the shape reference numbers are the same throughout, so you can simply follow the pattern download. Considering adding a GO! Qube Mix & Match Block to your sewing space? Check out some of these amazing patterns you can create with them! GO! Qube Mix & Match Blocks are compatible with AccuQuilt GO! Me, GO! and GO! Big, and can also be used with the Studio and Studio 2 with a GO! Die Adapter. Note: Your finished quilt size will change depending on the block size of your GO! Qube. For example, the GO! Qube Mix & Match 6” block will be smaller than the 50” x 50” finished size while the GO! Qube Mix & Match 9” will be larger. Want to see it before you make it? The GO! Qube 8” Over and Above Quilt Pattern is available for customization on GO! Quilt! Don’t forget to check out the fabric collections while you upload your stash. And if this pattern doesn’t seem to be working for your next project, be sure to browse through the 100+ patterns now available in GO! Quilt. Never heard of GO! Quilt? 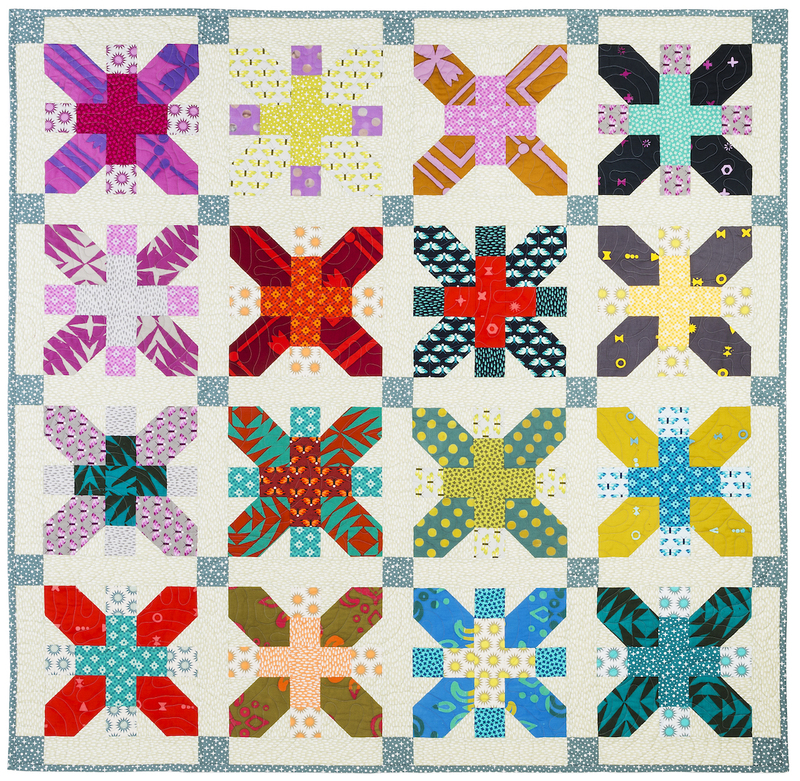 Learn all about your new favorite and free AccuQuilt tool here! Want more inspiring quilt patterns and project ideas? Subscribe to our blog and you will get notified as soon as we post! And don’t forget to check us out on Facebook, Twitter, YouTube, Pinterest, and Instagram.